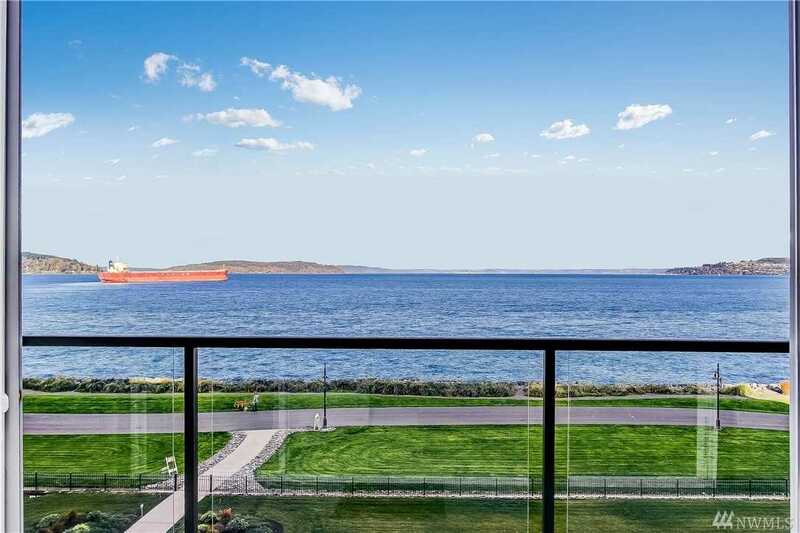 Exquisite view condo at Pt Ruston! Wall of windows across the great room & master opens the condo to 180 degree views from the Olympics to the Cascades with Commencement Bay filling your field of vision! The deck spans both the great room & master; space for dining table, outdoor seating, barbeque & all under cover. All the upgrades you can imagine plus 2 parking spaces, 2 storage units across the hall & all the amenities that Pt Ruston has to offer. Best view at Pt Ruston! Directions:From I-5, exit Downtown Tacoma to Shuster Parkway/#705. Follow to Ruston Way and Pt Ruston development. Century Building is above the theater. SchoolsClick map icons below to view information for schools near 5105 Grand Lp #404 Tacoma, WA 98407. Tacoma Real Estate at 5105 Grand Lp #404 Tacoma, WA 98407. Description: The real estate listing at 5105 Grand Lp #404 Tacoma, WA 98407 with the MLS# 1401131 has been on the Tacoma market for 92 days. This property located in the Ruston subdivision is currently listed for $769,500. You are currently viewing the property details of the NWMLS listing at 5105 Grand Lp #404 Tacoma, WA 98407, which features 2 bedrooms and 2 bathrooms, and has approximately 1283 sq.ft. of living area.